Film maker Dan Buckley (DAN BUCKLEY), right, interviews Paul Bear (PAUL BEAR) for his documentary about El Casino Ballroom (EL CASINO BALLROOM) on Thursday (THURSDAY), August 2, 2012, (AUGUST 2, 2012), in Tucson, AZ (TUCSON, AZ). The interview is being conducted on the patio at the Shanty on 4th Ave. Photo by Ron Medvescek/Arizona Daily Star. “There are so many people in this community and state who have lived history but never had a chance to tell their stories” – producer/videographer Daniel Buckley. 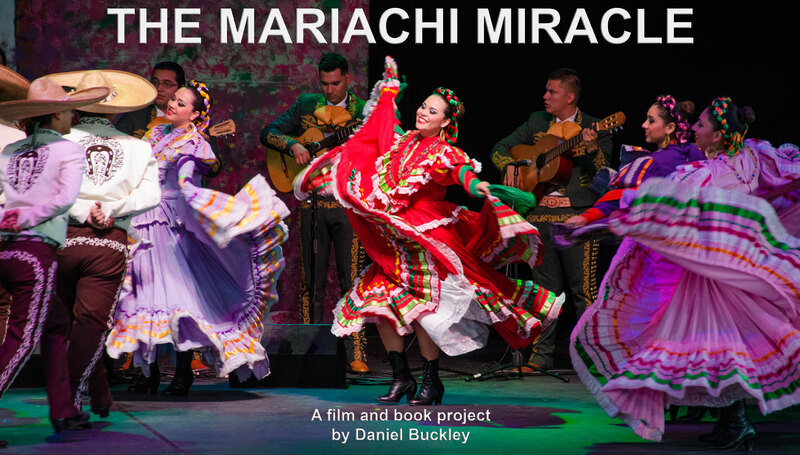 As he works on his latest film, The Mariachi Miracle, now in production, as well as other projects on the history of his state, 2014 Arizona Governor’s Arts Award winner Daniel Buckley builds on skills honed over decades. Buckley was a seasoned newspaper writer when he created the multimedia online division of the Tucson Citizen in 2002. His storytelling skills were immediately welded to the new media in his work. Between the time Buckley produced his first Citizen video – a visit with father of Chicano music Lalo Guerrero to his boyhood Tucson neighborhood – to his last, shooting the final press run as the Tucson Citizen came to an end in 2009, Buckley used the medium to tell stories of life, celebration, culture, drama, politics and tragedy. 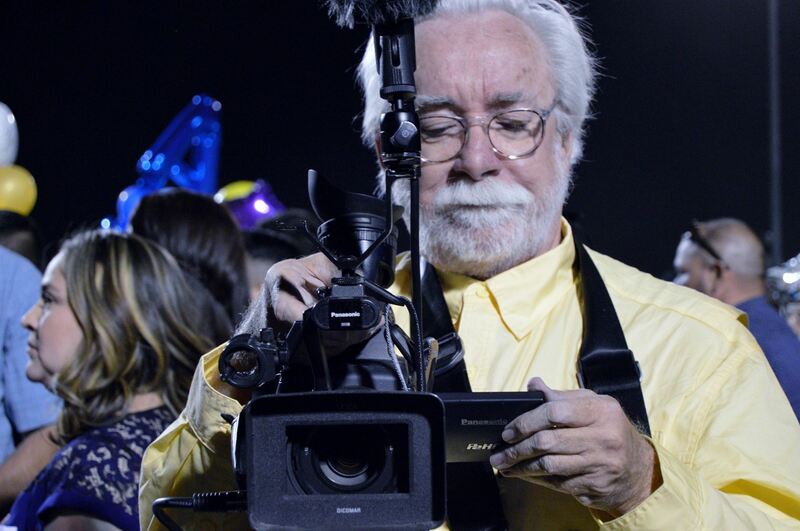 Daniel Buckley filming graduation 2018 for The Mariachi Miracle. In all he produced, shot and edited over 1,000 short videos for the website. Concerts and performances, sporting events and breaking news. The drama of the Phoenix Mars Lander touching down on the red planet’s polar caps. The beauty of a summer sunrise over San Xavier mission. The discoveries of archaeologists finding ancient communal pestles for the grinding of grain just yards from a ceramic doll’s head from over a century back. The pride of a female equestrian show team in its Mexican heritage. 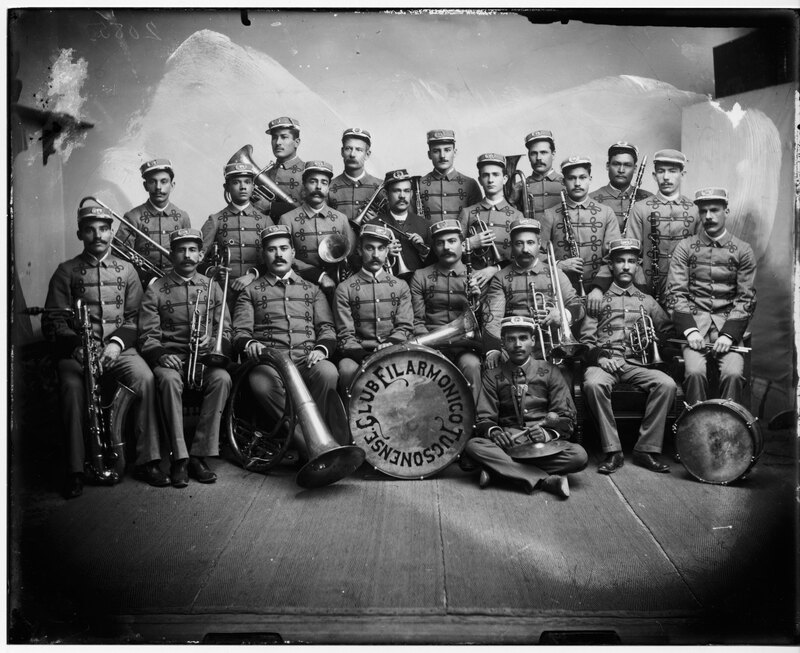 The polkas, cumbias and culture of the Tohono O’odham tribe, borrowing from missionaries and settlers, then recasting the music for its own social gatherings. After the Citizen’s close in 2009, Buckley invested in high definition gear and stepped up his film making through the first Cine Plaza at the Fox documentaries. Focused on a long-gone Spanish language theater in downtown Tucson and the barrio communities it served, the three short films followed the practice he’d established with the paper – never do a voice over when your sources can tell the story better. The films earned the Audience Favorite award at the Mountain Empire Film Festival in Patagonia, Arizona in 2010. 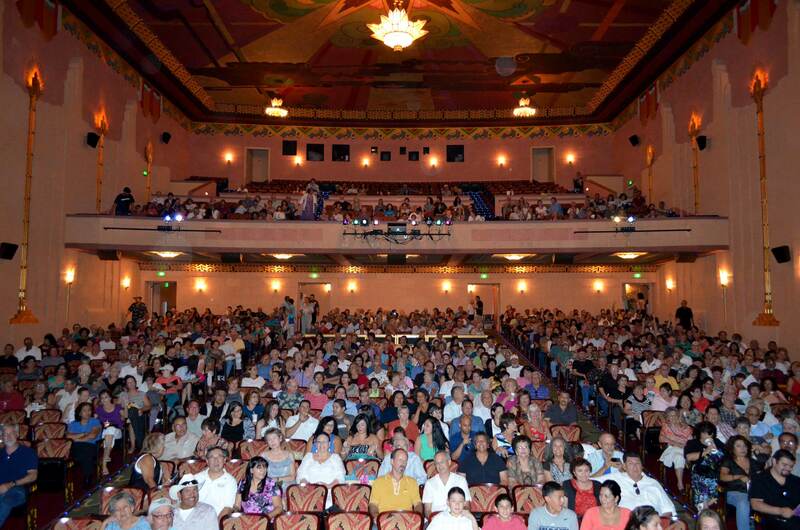 The trio of films, which debuted at Tucson’s historic Fox Theater, drew increasing audiences with each show. 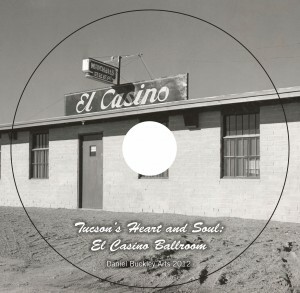 A fourth on Tucson’s Barrio Hollywood premiered in 2011, followed in 2012 by his first full length film, “Tucson’s Heart and Soul: El Casino Ballroom.” This film focused on the last of Tucson’s great Latino ballrooms, marking its 65th year of service to every cultural corner of Tucson. A showcase for stars of Mexican cinema and American rock, soul and roots music, the venerable landmark remains the venue of choice for weddings, quinceañeras, political rallies and fundraisers for the Latino community. Buckley won an Associated Press Managing Editors Arizona award for his multimedia package on El Casino Ballroom for the Tucson Citizen in 2008. 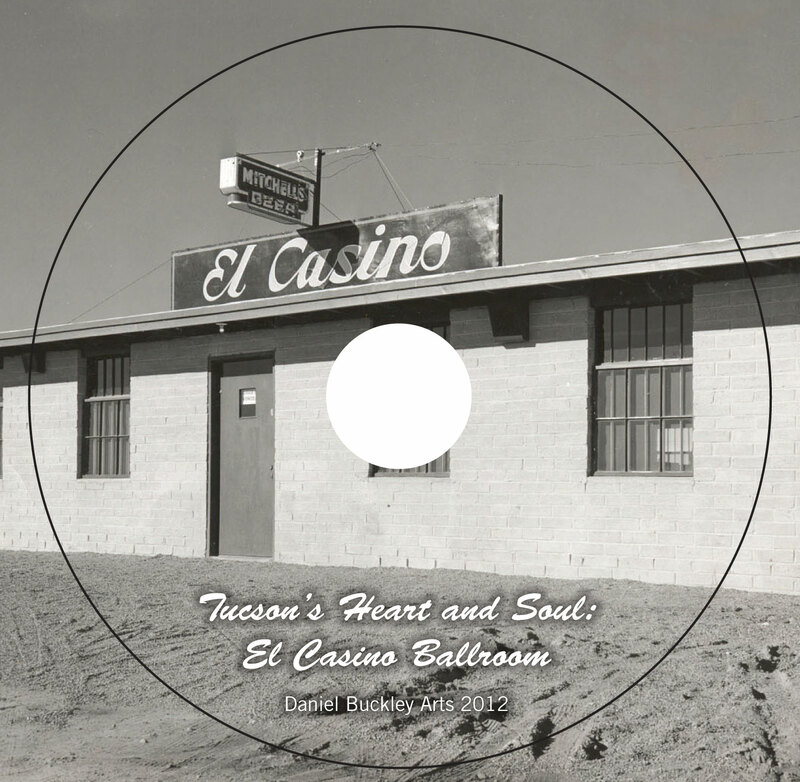 His 2012 full-length documentary focused on the many sectors of the Tucson community that have found a home at El Casino Ballroom as well as the ways in which the broader community has come together to restore it to its former greatness after half the roof blew off in a freak storm in the 1990s. The film was featured in the Mountain Empire Film Festival and the Arizona International Film Festival in 2013. 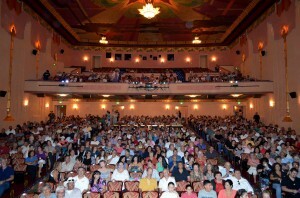 The El Casino film was supported, in part, through a grant from the Tucson Pima Arts Council’s PLACE Initiative program. The sixth installment of the Cine Plaza series, projected to debut in 2018, traces the rise of the mariachi as a cultural force in Tucson for a film titled The Mariachi Miracle. Again, a Tucson Pima Arts Council PLACE Initiative Grant has been awarded to start the film, and a Kickstarter project provided $15,000 in seed money for the documentary. Buckley has also produced a variety of other short documentaries to complement other projects. He produced, shot and edited a short film on Tucson fashion queen and community philanthropist Cele Peterson for the 2010 celebration of Tucson’s birthday. He captured the reunion of Tucson Tejano band Love LTD, and filmed performances of Sergio Mendoza y la Orkestra and Trio Amanecer at the Hotel Congress’s 25th anniversary show. 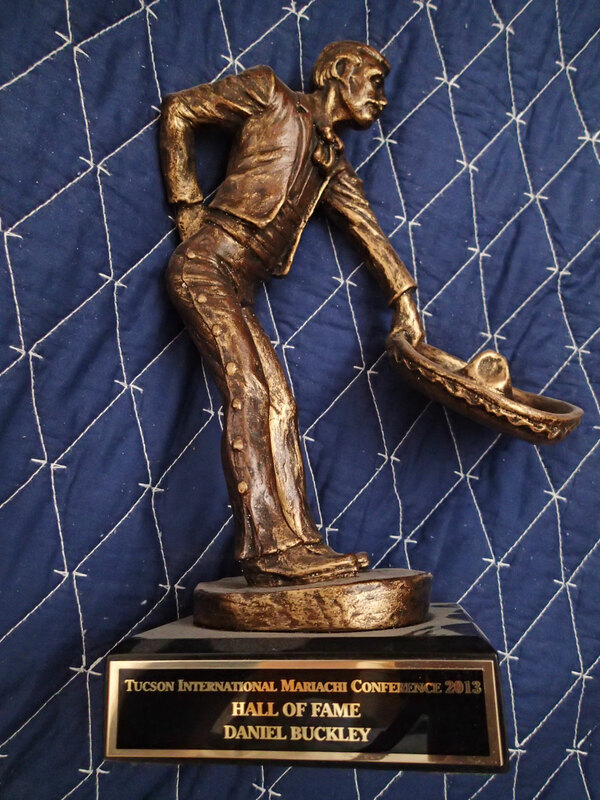 He shot workshops, student performances and the Espectacular concert at the Tucson International Mariachi Conference. And he documented and augmented Arizona Historical Society exhibitions on the Declaration of Independence, Geronimo and Cactus League baseball. Following the January 8 Tucson shooting, the office of Congresswoman Gabrielle Giffords turned to Buckley to record a packed Tucson Symphony Orchestra audience chanting “Hello Gabby” for Giffords to watch and work with in her rehabilitation from a gunshot wound to the head. He also created a video of Giffords’ now poignant remarks about the dangers signers of the Declaration of Independence faced, taken from the event the year prior to the shooting. Buckley has documented works by feminist performance artist Joanna Frueh (“Goddess of Roses,” “The Dark Lord and his Wily Mistress”)and Fulbright winner Laura Milkins (“Naked Politics”). In 2011 he collaborated with Milkins, editing video from the road as she traveled by foot from Tucson, Arizona to Michigan in her “Walking Home” performance work. In 2012 he collaborated again with Milkins to produce the art video “Poem From Memory,” to which Buckley also contributed the musical soundtrack. Plans are to continue that series in 2013. In 2011 Buckley again partnered with the Arizona Historical Society as it prepared to celebrate Arizona’s Centennial Year in 2012. The society exhibited 100 quilts from 100 Arizona quilters. Buckley interviewed a number of the quilters to create mini profiles highlighting where they’re from, how they learned their craft, the traditions they come from and what quilting means to them. He also created a half hour documentary on how the show came together. 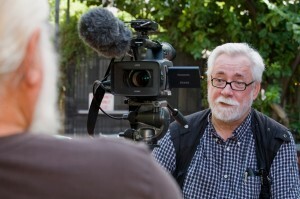 In 2012 Buckley was hired by the www.arizonaexperience.org – the official website of the Arizona state centennial – to produce short video pieces on various topics of Arizona life. He interviewed captains of industry, experts in a variety of cutting edge technologies, astronomers and ranchers, anthropologists, historians, musicians, artists and farmers to piece together snapshots of Arizona in the centennial year and predictions of where we’re heading. 2012 also saw a new collaboration with the Arizona Historical Society – this time to produce a short history of Yuma, Arizona which was put on permanent display at AHS headquarters in the Sanguinetti House in downtown Yuma, in February, 2013. The Club Filarmonico, created by Linda Ronstadt’s grandfather, Federico Ronstadt. In 2014 Buckley created a video portrait of the Ronstadt Familiy’s historic contributions to Arizona music, politics, business and culture for Pima Council on Aging. 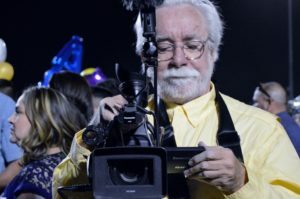 He documented Los Lobos welcoming White Elementary School’s Bulldog Mariachi and Folklorico to the stage of Tucson’s Rialto Theatre to play a few tunes. And in the summer of 2014 he began an important project with the Arizona State Museum creating videos for archaeologists in war-torn nations in the middle east and beyond to teach field assistants to correctly collect, catalog and preserve historic artifacts. That project will be translated into multiple languages over the next few years and used as a global archaeological resource. He worked with scholars in Southern Arizona to create video on the historic Anza Trail which linked the missions of nothern New Spain (Mexico) with San Francisco in colonial days. And in conjunction with Tucson’s January 8 Memorial Foundation, in 2014 he conducted oral histories of the folks who came to visit with Congresswoman Gabriele Giffords on the day when an assassination attempt was made against her, and in which six were killed and 13 injured. These oral histories will be used by the foundation to create a body of knowledge of the tragedy, as well as possible videos, etc., on the events of that day. As a still photographer, Buckley spent 2014 protographing 150 key artifacts from the Arizona Historical Society’s voluminous collection for the group’s 150th anniversary. The roster of artifacts included Wyatt Earp’s wedding ring, the hamm radio Senator Barry Goldwater used to connect Vietnam service men and women with their families in the 1960s, an ornate solid silver chest from the Spanish colonial period, commemorative items from Arizona’s statehood and much more. In March, 2014 his various projects earned him the Artist of the Year award at the Arizona Governor’s Arts Awards. 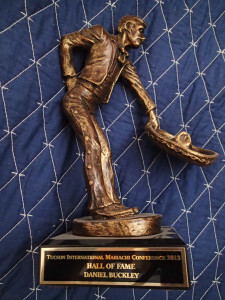 The previous year, Buckley was inducted into the Mariachi Hall of Fame of the Tucson International Mariachi Conference.